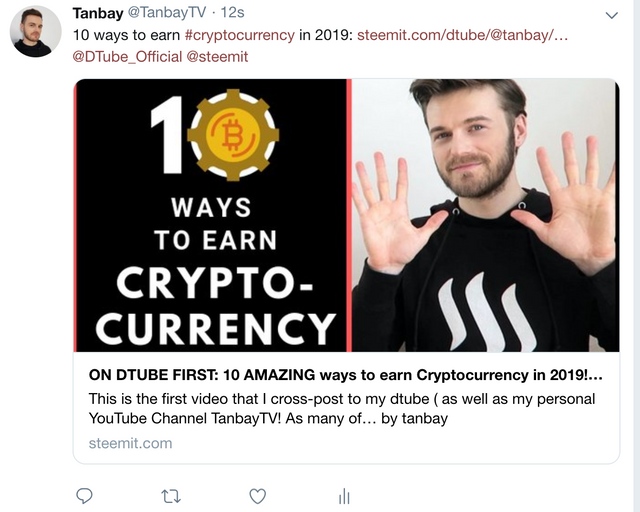 ON DTUBE FIRST: 10 AMAZING ways to earn Cryptocurrency in 2019!steemCreated with Sketch. I tweeted this out to my 4.5k followers to promote Steemit and Dtube some more! you are awesome @tanbay , i started to use brave browser but still dont know how exactly it works, it could be great if you make a tutorial about it , is it possible to withdraw BAT ?